This card cannot be Special Summoned. 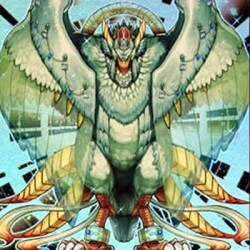 If you Tribute Summon this card, the Tributes must be WIND. While this card is face-up on the field, both players take 1000 points of damage during each player's .. If there are no cards in your opponent's Spell & Trap Card Zones, this card can attack your opponent's Life Points directly. When it does, any Battle Damage this card inflicts on your opponent's Life ..